ETA: Please note that I am adding questions to the bottom of this post as they come in. I will do my best to answer them as quickly as possible. What is the price point of the Xcalibur? Oh how I wish I was at liberty to share this with you, but at this point I am not able to share this information. As soon as I can - I will, so keep watching being that once CHA begins I can then shout it from the rooftops. All I can say is that I believe you will be thrilled. When will the Xcalibur be available for purchase? Currently the release date is May 2008. So why are we talking about it now? The crafting industry can be a very difficult industry to work within at times. It is important to share what new inventions are on the horizon, but the question is always when should we do it to best accomodate the needs of our customers. Many question why the manufacturer does not let everyone know the minute an idea hits the drawing board. I can easily tell you that it is due to the incredibly competitive nature of the industry. If word is leaked to far in advance that a new invention is in the works, another manufacturer will waltz in and take the idea and run with it. So timing is critical in this industry. Do I wish it was not this way? Very definitely yes, but it is what it is and so we must work with it. The next part of this question is why tell about it so far in advance. My answer to that question is that by sharing this information in advance of the actual release date it then allows new consumers to make a decision as to whether they should wait on their next purchase or buy what is currently available. At times it can be a difficult decision especially when the new product is not even out yet to physically try. It's a catch-22 that unfortunately there are no good answers for. All we can do is try to accomodate as many needs as possible. So as always we will do our very best to educate you about what is coming vs. what is here. You will then be able to make a decision for yourself as to whether what you currently own is best for you or if what is coming is worth all the hubbub. There are many consumers who currently do not own a diecutting system. This will allow them to reflect on what it is that they want and make the decision that is right for them. In my opinion I believe that the Wizard will always be my go-to tool for any heavy duty crafting. There will more likely than not ever be another machine on the market that can withstand the pressure that is exerted by this Univeral Crafting Tool. This little metal machine can withstand pressure like no other in today's market place because it is all metal. The Wizard will not be taken off the market at this time. It is a tool that fills the needs of many. That is not to say that sometime down the road it will not be taken off the market - it just depends on you the consumer. Will you still have a need for a tool that is durable? We can't answer that question - only you can. 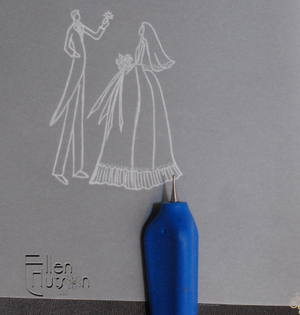 Again I believe that there will always be a place for a strong tool and that is what the Wizard is - a strong, Universal diecutting and embossing tool. I believe that it is much too early to take preorders on this product. It is so important to me that I leave your money in your checking account until I am ready to make a fair transaction with you. It is always my intention to be able to ship your product out to you immediately upon receiving any financial compensation. I also take the trust that you place in me seriously. At this moment I have great confidence in Spellbinders and their ability to make things happen, but there are so many others that need to be counted on for parts and labor that it is out of the control of any one individual or company. Can we take your name and put you on a list so that we make certain to order enough product to begin with - most definitely! If you believe that you are going to have to have one of these when they are ready to ship and you would like to support us by purchasing it through us, then please send us an email at customerservice@ellenhutson.com. We will put together a special list to keep you updated as to what it is that is happening with the Xcalibur and consider you in a head-count of those we will honor orders of when the timing is right. I promise that we will not bombard you with frivolous "stuff", but will keep you up-to-date on what is that we are learning. Do I think the Xcalibur is big news? I thank you for your questions. I will most certainly be trying the Xcalibur for myself at CHA being that I have not had the opportunity to personally test the machine. We all work so hard to make a living and I respect you all so much for wanting to know what the "right" thing to do is. I hope to be able to share my perspective and knowledge with you as soon as I can have some "hands-on" time with this latest, greatest innovation. As always I will give you as much information as possible and I thank you once again for placing your trust in me. I hope to never let you down. Will the Xcalibur Cut and Emboss Simultaneously? Being that the dies are designed to be utilized in three possible ways it will still require two passes through the machine to first cut your cardstock and then a second pass through to emboss it. 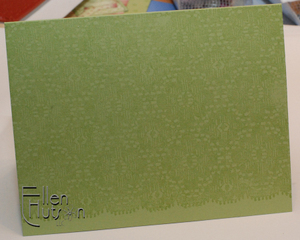 As with the Wizard you will be able to cut and emboss, only cut, or only emboss. Versatility is so important and this is the only way to achieve the flexibility we would like to see from the dies. Wait till you see this!!!! Xcalibur! 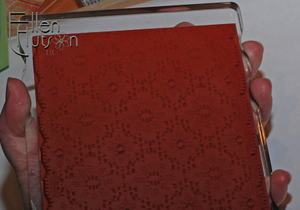 Word is out - you are not going to believe what Spellbinders Paper Arts has come up with for CHA this year!!! I have the pleasure of sharing this amazing news with all of you out here in the blogosphere - Spellbinders is continuing in their tradition of innovation by introducing... 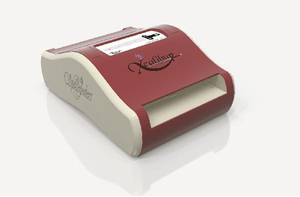 THE FIRST MOTORIZED DIE CUTTING and EMBOSSING SYSTEM!!! 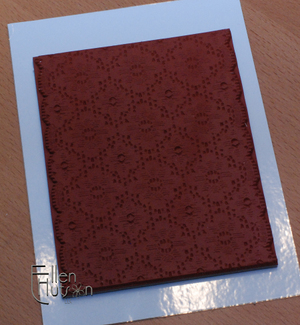 A touch of the button gently feeds and slowly releases mats for cutting and embossing. The mats used in Xcalibur™ will be the same mats currently used in the Wizard, Universal Craft Tool. Xcalibur™ will cut, emboss and texturize virtually every consumer die from leading manufacturers making it the universal system of choice. Xcalibur™ is going to revolutionize the die cutting world!!! If you will be attending CHA Winter stop by Booth #5071 and experience it for yourself. We expect Xcalibur to be available to us in May 2008! "I haven't tried the Copics yet due to cost, but I would love to try them out if I win them!" Have a fun, relaxing, creative weekend everyone! Yes, unfortunately it is true. We are already sold out of these sets, but we are working to try and remedy this as best we can. Over the next few days we will be adding a few at a time to the store as we get supplies to make them up. We apologize for not having more on hand. As I said in my last post MANY more are on order, but today I found out that most of that big order will not be available to us until mid-February. Thank you so much for your incredible support and please watch for them to appear in our store in little bits and pieces over the next week or so. If you would like to be put on a please notify us list you can email us at customerservice@ellenhutson.com and we will send out an email each time we are ready to put more back up. Tonight at 10:00pm PST we will make the markers go live. It will be a first come, first serve basis, being that our supplies are currently limited. MANY more markers are on order, but I do not have word yet when they will arrive, so please hang tight with us as we await word on the arrival of more sets. Before I begin I want to share with you that all my testing for colors was done on Neenah Classic Crest, Solar White cardstock. 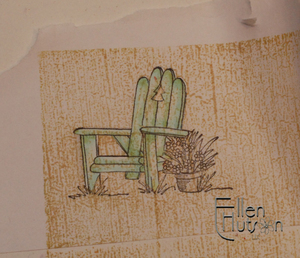 The white color base you begin with does affect your final color outcome. 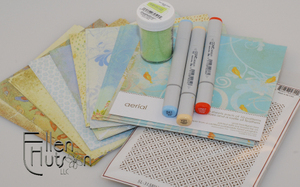 Solar White is a white that compares closely to Stampin' Up! 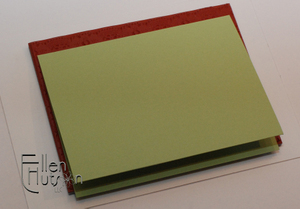 's white cardstock, only it is a more "sturdy" paper (for lack of a better word). I have found that Neenah Classic Crest is my paper of choice when working with both Prismacolor Color Pencils and Copic Sketch Markers. First we have added seven, YES (7) new sets of 12 markers each. For your reference we have attached the picture below. 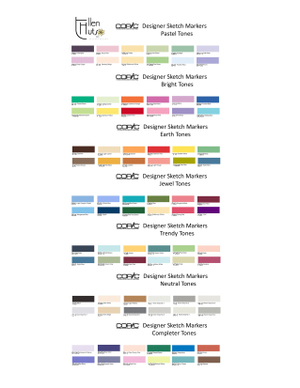 I hope that I don't make typepad explode with the enormity of the files I will be attaching today Ü As you can see from these lists some of the colors are duplicates to the colors we already have in our line. I am uncertain at this point as to whether or not this chart is even readable so you may need to wait for a second or third draft of this post to be able to read these charts. I apologize in advance if the font on the colors is so tiny it is unreadable, but I'll keep trying until I get it to a size that you should be able to view. After 10:00 pm I will come back to this post and add links to the store. This will allow you to read the color information at full size. 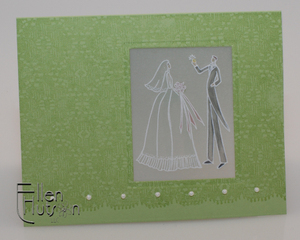 The first four sets listed showcase the colors that I believe compare closely to Stampin' Up! 's primary color families. 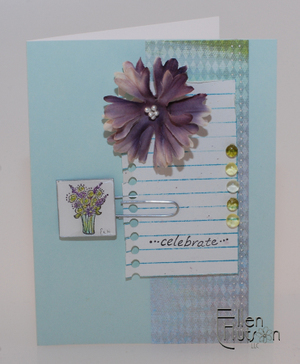 The next set, which we are calling Trendy Tones, is a set of colors that were/are a part of Stampin' Up! 's color line last year and this year. Again, please know these are NOT Stampin' Up! colors, but colors that I believe after thorough examination, compare as close as possible to the Stampin' Up! cardstock I own and use. Next you will find a Neutral Tone set. This set is comprised of colors that compare to the Neutral colors, but in addition it also has numerous neutral tones added to it that will allow you to combine with the colors in the first five sets to get a more accurate depiction of the colors in Stampin' Up! 's line. The last set of colors, the Completer Set, is significant if accuracy is important to you. Many of the colors that are included in the first five sets do not compare closely if used on their own. They need to be blended with the colors that are in the Neutral set or Completer Set to gain in accuracy. I know the thought of blending colors may be scary to many of you, but remember this is art. It is about learning and perfecting over time. 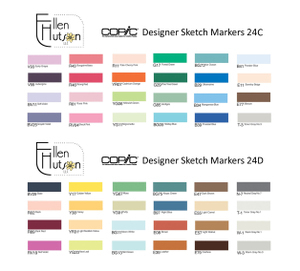 To try and make it easier for each of you who purchase the Copic Sketch Marker sets through us we are including a chart with each set you purchase. 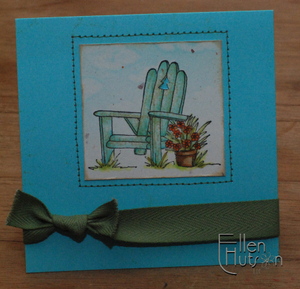 On that chart I share how it is that I was able to create a color that compared closely with the Stampin' Up! cardstock I own. You may ask why on earth do I need these two additional sets when there are 330 colors in the Sketch line of markers? 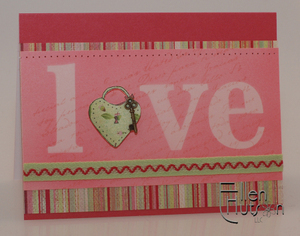 Well there are 100's of 1000's of combinations that colors can be mixed and unfortunately COPIC and Stampin' Up! just don't have all of the same color selections. So how did I come up with these colors? 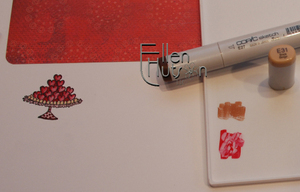 The first thing I did was to go through the entire COPIC line and select one color that was as close in comparison as possible to the Stampin' Up! color. 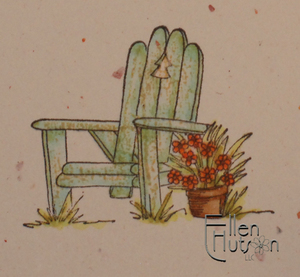 When that didn't suffice I then went back through the entire line combining and blending colors to achieve a color that compared to the Stampin' Up! colors. Believe me when I tell you that I tried MANY combinations - LOL! These seven sets are for those of you who have never purchased Copic Markers before and would like to try them in one color family. 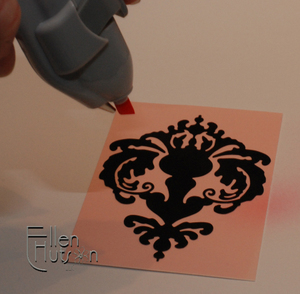 It will allow you to add to your marker sets over time and hopefully not make such a huge dent in your crafting budget. Please remember when you purchase your first set to add a Colorless Blender Marker. No place in these seven sets is a Colorless Blender included. You may also want to consider getting the Colorless Blender Refill at the same time to help with clean up and to create special effects. I would like you all to note this important item. In creating the sets of markers so that individuals could purchase one set only it became necessary to repeat a couple of colors in the sets. You will find that color Y21 is used in both the Pastel and Jewel Tones sets, marker R89 is used in both the Jewel and Trendy Tones, and marker YG63 is used in both the Pastel and Trendy Tones sets. Unfortunately if you purchase these in sets you will receive duplicates. My suggestion for those who will be purchasing your markers one set at a time is to purchase the markers individually that are in these sets to avoid duplication. I wish there were an easier way around it, but I couldn't think of anything that made sense other than to purchase the markers individually or as a whole. These seven sets will be sent to you in a Clear Copic Sketch Case. The retail value of these sets including the case is $75.40 - we will be selling these for $59.49. For those who like to just make one big purchase and be ready to go we put together a COPIC Gotta Have It All (GHIA) for the first time COPIC user. This marker set is for those that wanted to have all the colors necessary to create the colors that coordinate with Stampin' Up! 's many beautiful colors as well as a few others that are just too good to pass up. In order to truly make this a one stop set of 96 (these were originally designed to fit into four wallets that only hold 24 markers) I had to leave out just a couple of colors that you can purchase separately in the store. YG23-New Leaf, W2-Warm Gray No. 2 and W4-Warm Gray No. 4 can be purchased seperately. At this time there is plenty of room in the large wallets these are coming to you in to add those other must-have colors you have been dying to try. All coloring reference charts will be included with the GHIA. 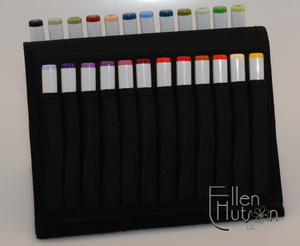 Now you ask - I already own the two sets of markers in your store - I own 24A and 24B - what should I do? We have tried to simplify this for you. 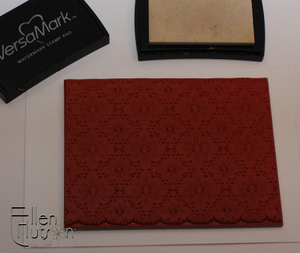 You will need to purchase 24C and 24D to complete your color collection. Sets 24C and 24D include the YG23 - I believe YG23 is one of those Julie Ebersole must have colors - LOL! You know how much Julie (and Ellen Ü) love greens. It does not include W2 and W4, but I do believe that you will be able to suffice with the W3 it does include. 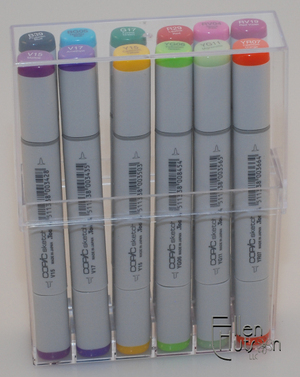 It also does not include a Colorless Blender Marker in these sets because I figured most of you will already own one. 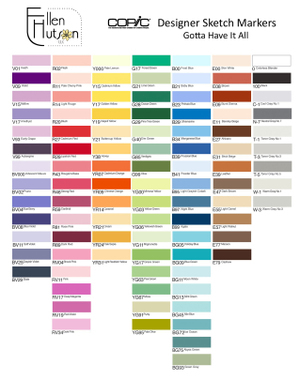 As well, all of my coloring reference charts will be included with the 24C and 24D sets. These will come in the same wallets as 24A and 24B come in. The retail value on this particular set is $155.75 and our price is $118.49. As you can see from this picture you can set these markers upright on your desk or you can stack multiple ones horizontally as I have shown using the sets of 36 above. When I use my markers I prefer to have the markers lying flat as shown above in the GHIA. This allows me to see all the colors simultaneously. Well... as you can see we try our best to give you plenty of versatility and at the same time provide a good value for your dollar. We try and make certain that we share as much educational information with you as possible regarding how to use this product. We try to provide you with the best customer service possible. We thank you for supporting us in our endeavours and fully realize that you can purchase your product wherever you choose - we thank you for choosing us. I feel blessed to know that you value what it is that we do and that you continue to support us. Insert long sigh here - WOW - what a WORDY post - LOL! Did I lose you? Are you still there? If you are still there I have a special bonus for you for reading all the way through this monstrosity of a post!!! BLOG CANDY Ü I think all that reading deserves a little fun. Included in this treat will be a brand, spankin' new set of papers from Memory Box that I haven't even gotten up on the store yet - these are yummy! 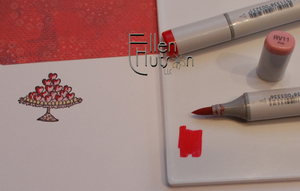 Included is a WONDERFUL new backgrounder, three fun COPIC Sketch Markers, and a little Fun Flock to top it off. To enter please post below - only one post per person please. I would love to hear what your experience with markers OR backgrounders is. Have you tried the COPIC markers or the CHF Backgrounders before? and what is it that you love about them. Just one little reason - you don't need to write an epistle like I have - LOL! Oh, and you must post before Friday, January 25th 11:59 p.m. Thank you for stopping by and thank you so much for supporting us in what it is that we do. You guessed it!!! I am so incredibly excited about the latest additions to our store and hope to share and educate more about this product line in the next few days. My eyes are a little googley at this point being it took a bit to enter all the pictures and data - LOL! I had hoped to create another project to share with you tonight, but it always seems to take me longer to upload data than I anticipate. Watch for more to come in the next couple of days. I plan on sharing why it is that I elected to carry the unmounted versions of the backgrounders. I will share how it is that I use and store them. As you all know the most important things to me in the products I carry are fabulous quality, excellent value, and most importantly the ability to be truly creative with the product. The Cornish Heritage Farm backgrounders are all of these plus much more. So stay tuned for additional information and some creative stimulation. Yesterday I learned that my assumptions were correct. 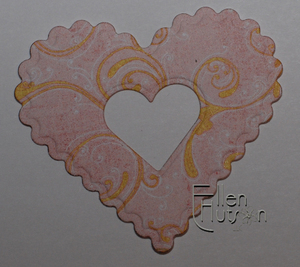 In creating the Classic Scalloped Hearts something clearly went amiss - they do not match up with the Classic Heart dies and do not scale properly. I had not been involved in the creation of this particular set of dies and when I received the first packet I thought - that is SO strange how they are packaged, but being incredibly busy I did not give it much thought and did not remove any of the dies from the packages to play with them. 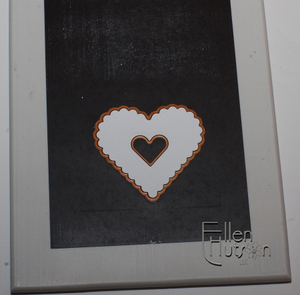 This weekend when I went to create my heart frame was the first time I opened my package of Classic Scalloped Hearts and used them. My immediate thought was, "OH NO this can't be right!" 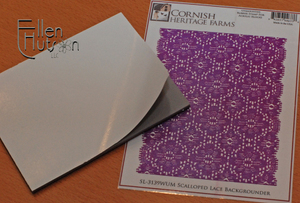 After contacting Spellbinders with my findings they have gone in to immediate action - we have not yet determined how we are going to do this, but we want to assure all those of you that have purchased the Scalloped Hearts that we will take care of you. 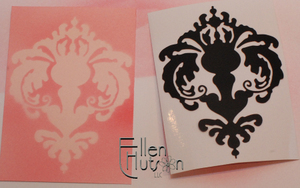 We have pulled the sets of Scalloped Hearts from our store being that they do NOT match up to the Classic Heart shapes. The Classic Hearts are perfect - they scale up beautifully, but the Scallops - well that's another story. So please stay tuned - for those of you who have purchased the Scalloped Hearts through us we would appreciate your help. If you could email us at customerservice@ellenhutson.com with your name, address and invoice number we are compiling a list of names of customers who we need to help with this problem. It is a tedious task and so if you could help by providing us with this information it will definitely help us with this huge task. We appreciate your support so much and we will definitely make this right! Stay tuned for updates as they become available to me. I have had a lot of questions regarding the Big Kick and unfortunately I do not own one. So I contacted Ellison to ask them directly what the differences are between the two machines. I learned that the machines have identical "innards". You can also use the same multi-purpose platform with the Big Kick as you do with the Big Shot. What does this mean? Well, to me it means that the information that I have created by testing my Big Shot with the Nestabilities should be identical for the Big Kick. Following is my original Compatibility posting information for the Big Shot. I wish I knew someone who owned both of these machines so that I could compare and assure you 100% that this information is correct, but I am confident after speaking with Ellison today that this information should be helpful for all Big Kick owners. 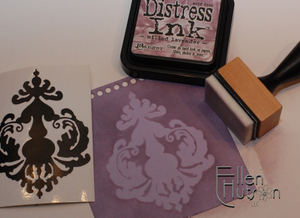 These machines are capable of cutting and embossing any Spellbinders™ die. 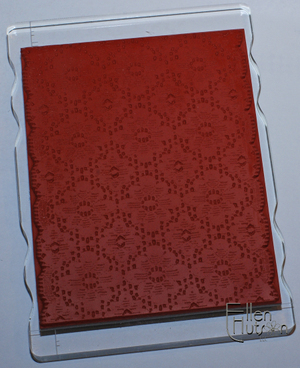 *Shim with extra pieces of cardstock if needed - place between platform and clear acrylic mat. Remember that each machine may be callibrated slightly different from the next. So experiment with your machine being certain not to force product through the rollers. Once you have found the "magic" formula write it down and attach it some place on your machine so that you won't need to experiment the next time around. If you have any experience with either of these machines please feel free to post to this thread. Many, many users read through these sections and also read the comments, so any advice you can share with the crafting world is much appreciated. Another question many have had relates to the magnetic placement mats. I have found that these do assist me with reducing movement when using the Nestabilities and have allowed me to be much more precise in the placement of my cuts. 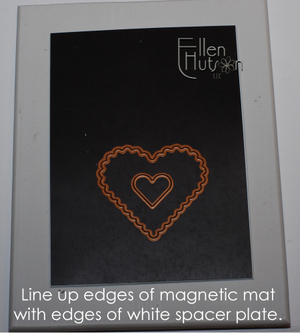 The magnetic mat does make your sandwich thicker and so you will need to adjust the thickness of your sandwiches accordingly. 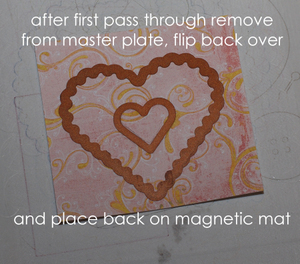 An alternate method that I have used in conjunction with the magnetic mat when precision is necessary is Tombow Temporary Adhesive. I will position my die in place on the magnet and then use the Temporary Adhesive to affix my cardstock to the magnet before placing my top mat in place. Following are two pictures that will hopefully help you picture how I use the Nestabilities in the Big Shot. First I place the die on my magnetic placement mat in the position I would like my window to be. Next position the open notecard on top of the magnetic placement mat being certain to line up the score line of the note card evenly with the edge of the magnetic plate. As you can see in the picture below I have positioned the notecard color side up. I did this so that it would be easier to capture the entire sandwich in a photo. 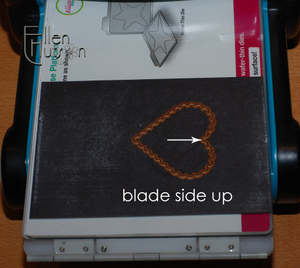 If I would want to cut AND emboss the heart on my card front I would need to place my magnetic placement mat and die closer to the machine and then flip my notecard so that the white side is facing up. I hope that this step does not totally confuse you. 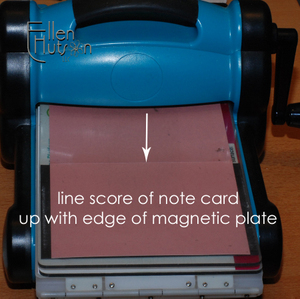 I am constantly flipping paper and die positions in my machines depending on what it is that I want to do - and for this photo I just wanted to show you how I use the magnetic plate as a positioning and holding guide as well as give you an example of what a Big Shot sandwich looks like. If you find this totally confusing please leave me a message in the comments section and I will take yet another series of pictures - LOL! 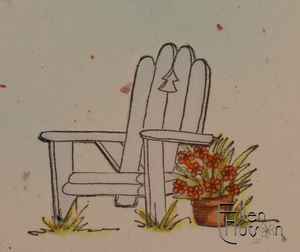 Thanks for stopping by and I hope to be back later today with the Stamp of the Month project for those who would like to see how it is that I colored this month's image. Bells and whistles went off in my head when I saw Sharon Harnist's gorgeous "beribboned" (is that even a word?) creation on her blog the other day. It reminded me so much of the Southern Living "Dress It Up" collection that I believe is now retired and how I need to remember to look to home accents for inspiration - there is so much out there just begging to be translated in to card format. 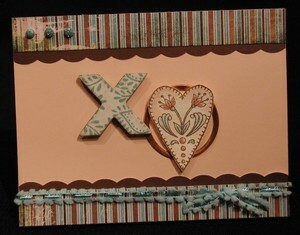 I knew I just had to make a card using the new Hearts and Scalloped Hearts with this design - I just loved it too much. So here is my version of a "Dress It Up" Nestie Heart. 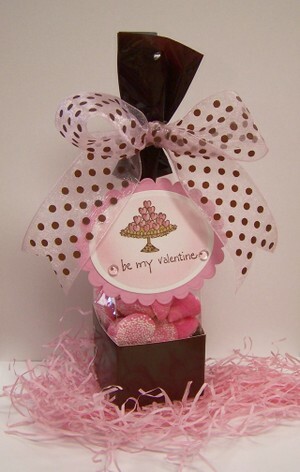 Valentine's are mostly pink, but the soft yellow just seemed like the right touch with the new Basic Grey Two Scoops paper. I have heard that some of you are having trouble with your dies slipping and so I thought I would share once again how it is that I use the dies and magnetic plate in hopes of helping you. I guess I really need to learn how to make those videos - but I just haven't had the time to learn, so hopefully these photos will do the trick. To begin with I have cut my magnetic placement mat to be the same size as the white spacer plate. This seems to help me keep things perfectly aligned. I then lay the master plate on the table, followed by the white spacer plate and then the magnetic placement mat. I place my dies in to location precisely as I would like them cut - they "snap" to the magnetic placement mat and have held firmly in place. 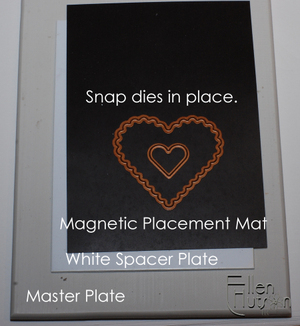 I do not lift the magnetic placement mat without having a solid surface such as the white spacer plate beneath it. If you do lift it alone it will bend and move your dies. 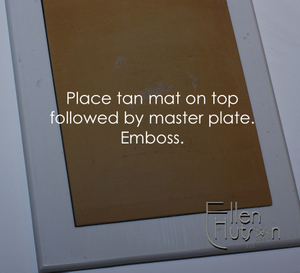 Next make certain that the edges of the magnetic mat are aligned with the edges of the white spacer plate. 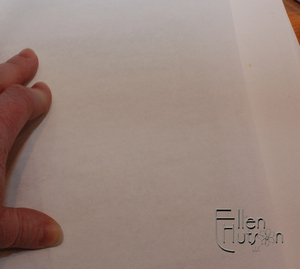 Then place your paper atop this stack pattern side, or right side, facing down. Top this sandwich with your second master plate and send it through the Wizard. 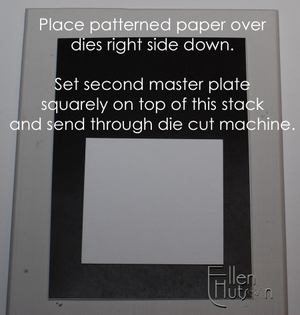 One tip that might be helpful is to note the position of your die on the master plate before sending it through. I typically have the thickest portion of the sandwich towards the back and start my sandwich with the end that does not have as many ingredients. Note how most of my ingredients are towards the bottom of the plate. This allows for the machine to get a good grasp on your plates without shifting the product that is within. I believe that some of the shifting that may be occuring is due to the force that is placed on your sandwich. If the thick part of the sandwich is right at the start the machine may be shifting your layers within. I wish I could observe others working first hand so that I might be able to better figure this out and give better tips. After passing through the machine I can then lift my plate and the dies are lightly embedded in to the master plate or still attached to the magnetic plate. If embedded in the master plate I use my fingernail to lift the die out, and then flip it back over on to the magnetic placement mat as shown below. Once again note how the thicker part of the sandwich is located towards the bottom end of my master plate - the end that enters the die cut machine first has minimal product located there. The detail of your heart should be crisp and clean. To complete I flipped the heart over and made light pencil marks to locate where I would punch my holes and then using my crop-a-dile punched those holes, threaded a beautiful silk ribbon through them, backed it with yet another patterned paper from the Two Scoops collection, added my sentiment, dew drops and piercing.